Even though her wifi is sh-t though, and even though I have been leaving her alone, she just sent in a nomination today as we celebrate International Women’s Day. Kathleen has nominated my post on Beyoncé’s performance at the Grammys. Which I started to feel weird about because I’m worried that some of you might this is gross and self-serving but I’m trying not to feel weird about it because this is not the day to not accept a compliment for something you worked hard on. So, here it is: Beyoncé KNEW. 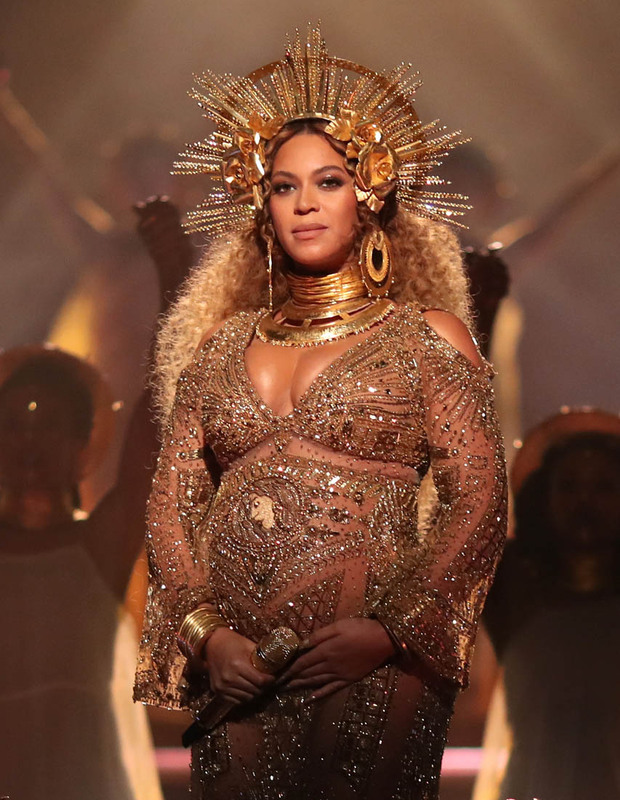 Last week I wrote about how the Recording Academy had to discuss during a meeting whether or not Beyoncé was “gaming the system”. They claim it was a short conversation but the signs were there – they didn’t appreciate that Beyoncé delivered a complete album that crossed several musical genres and did it so well that their only explanation for it was that she must have been playing a cheat. It was reported in the New York Times five days before the Grammys. But Beyoncé, she would have known about that f-cksh-t ahead of time, probably while she was negotiating the terms of her performance. And there are other indications about what she knew. Beyoncé was the most nominated artist at the Grammys with 9. During the broadcast, only 9 Grammys are awarded. There are a total of 75 Grammy categories. The major categories, Song of the Year, Record of the Year, and Album of the Year are always saved for live show time. The Recording Academy switches up the other broadcast categories by year. This year, the Urban Contemporary Album category was selected for broadcast. It is a not a category that makes the show year after year. But that’s the only award Beyoncé won during the broadcast this year – coincidence or conspiracy? They had to get Beyoncé up at the mic. They knew – and so SHE KNEW – that that would likely be the only one she would win. Another indication that she KNEW was her acceptance speech. Everything she wanted to say was said, written down on a gold card that complemented her outfit (because Beyoncé’s not walking around carrying a crumpled piece of white paper, God I love her for the details! ), and delivered exactingly so that it would be clear exactly what she was trying to accomplish with Lemonade, so that there would be no missed sentiment, no doubt, about her message. Because she KNEW. She knew it would be her only opportunity. All of this, however, was only illuminated when Adele’s 25 was called for Album of the Year – to us, at least. And then the rest of it became clear – to us. For Beyoncé, who KNEW, once again, we see the work in motion. The strategy. The planning. Everything that’s happened over the last two weeks was intentionally designed to peak during her 9 minute performance. She always knew, but we should have known: that with Beyoncé, there’s always a bigger picture. When you are Beyoncé, widely acknowledged by your peers to be peerless, currently the greatest entertainer among them, the one who keeps moving the targets while they’re still trying to catch up to her old ones, what do you do when they still won’t let you into certain rooms? 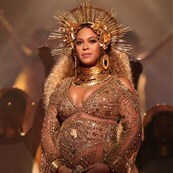 Well, if you’re Beyoncé, you accept the invitation to their party – because they benefit from you being at their party – and you turn their biggest room into a self-coronation. She knew they would deny her. So she decided not to deny herself. Some call it too much. Some call it a lack of humility. Some of you in my mentions think it’s gross and “not gracious”. I think it’s radical. I think it’s a radical act of defiance to show up knowing that Taylor Swift has TWO Album of the Year awards and Adele now has two Album of the Year awards and that she would end the night with still zero Album of the Year awards and decide that she would put on the most-talked-about performance of the night and make it so symbolically dense with iconography and maternal imagery – not only related to her own pregnancy and children but the birth of an idea of the future, a generation of women, specifically of black women, who will have more opportunity, who will, as she has tried to do, effect change. The pregnancy package from two weeks ago? All of that was building to this. Did she take it upon herself to be the sovereign of that movement. Please. OF COURSE. Should she have been more humble? Why humble yourself to a system that sets limits for you? What is the point of being “humble” and, therefore “classy”, or “elegant”, and “gracious” when that system doesn’t give you a seat at the table during meetings to decide whether or not you are “gaming” their system? Why not appoint yourself the head of a new system on top of the very foundation of the system that was designed to remind you that you can only rise so high? Beyoncé knew. She doesn’t have to tell us that she knew. She showed us what she knew.